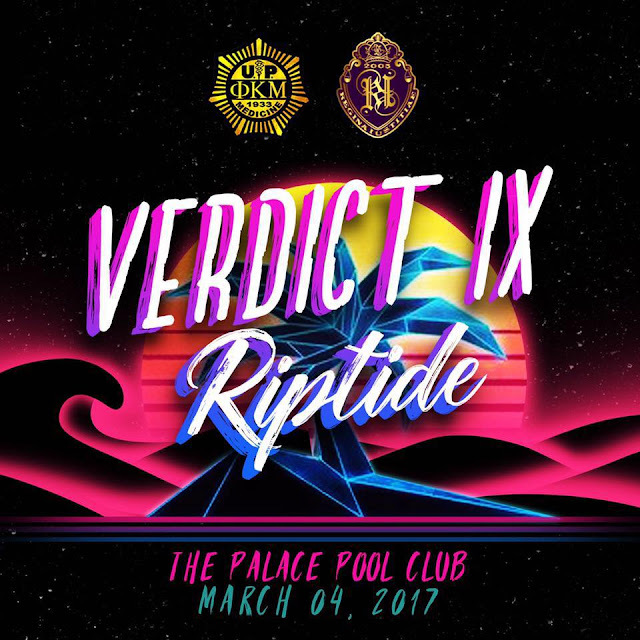 For the fourth straight year, Aldous ate the World is a proud media partner of Verdict 9: Riptide happening on March 4 at the Palace Pool Club. This event will be have attendees composed of law students and med students, as well as non-law and non-med students which means it is open to everyone so bring the entire gang for a really fun night. The project is spearheaded by Ateneo Law School's longest running sorority, the Regina Iustitiae Sorority (Sorore Lex Atheneum). The sorority takes pride in advocating women empowerment and independence, seeking to represent females in the admittedly male-dominated legal profession. This year, the sorority celebrates its 12th anniversary, a milestone that must be commemorated in the best way possible. Hence, they have prepared a series of events which is intended to encapsulate and celebrate just what being Regina is all about: integrity, hard work, and sisterhood. The biggest and most anticipated of which is the sorority’s Law-Med party entitled VERDICT 9: Riptide. The best part about it all is that tickets for the event costs only P500. That already includes free-flowing drinks until 12 midnight at Palace Pool Club and free crossover to Revel all night. It also includes a chance to win raffle prizes from our sponsors like iFlix, MyLegalWhiz and Mac Cosmetics. Finally, treasure the memory with our free photobooth from Ifotou Booth. Don't forget that we will also have surprises so come early as the event starts at 8PM. For ticket inquiries, contact Ina at 09399207043 or any Regina Iustitiae Sorority member.